Please browse our shop - instruments are grouped into categories on the left - if there is an instrument that you can not see, please do not hesitate to contact us and we will source it for you. Once you have finished shopping click on 'checkout' to complete the order. You will be sent a confirmation email. Pay securely on-line with your credit card through PayPal. You do not need to be a member of PayPal, nor do you need to sign up to use it. We can take most major credit cards. Choose the 'Telephone Details' option at the checkout, then call us and we can process the order over the phone. Due to recent fraudulent activity we will only deliver to the credit cards registered address - to facilitate this we have to contact the credit card companies who charge a fee, therefore, we reserve the right to charge £10.00 to cover the cost charged by the banks. We will accept existing and new customers to pay on account on the terms below. Please note we will have to authorise your log-in to be able to pay on account. Please ring or email our HelpDesk for your account to be atuhorised. We can take either a purchase order number, or use your blanket order if applicable. An invoice will be sent to you once the order has been despatched. Payment will be 30 days from date of invoice, unless other payment terms have been agreed. We will accept an official purchase order. An invoice will be sent to you once the order has been despatched. Payment terms are 30 days from date of invoice. NB: Payment maybe required before despatch for the first order and for overseas customers. You order will be delivered by either our own transport or overnight courier. There are is no charge for delivery to UK Mainland for orders over £40.00. For orders under £40.00 there will be a delivery charge of £8.00. For orders received from ouside the UK, e.g. Bramex and Ametek, delivery charges to the UK will apply. Please see below for delivery to other areas. Prices shown are for Standard (traceable to national standards) or UKAS Calibration (where available) and are valid for NEW instruments at point of purchase - not re-calibrations. 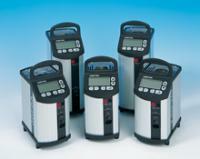 Please call our HelpDesk for calibration quotations on your exisiting instruments. Absolute Calibration will not be held responsible for incorrect specifications supplied by the manaufacturer. Images are for illustrative purposes only and may not depict the acual instrument. Delivery with calibration is approximately 5 working days (unless stated) 5 to 10 if calibration is requested. All prices exclude VAT which will be added at the checkout stage. All of our products are supported by their manufacturer's guarantee ranging from a minimum of 12 months up to 3 years. Some products have a lifetime guarantee (qualifications apply).